We host an extensive range of lunches and dinners in our cellars and townhouse, ranging from intimate get-togethers with top chefs, to exceptional feasts hosted in our impressive cellars and townhouse. 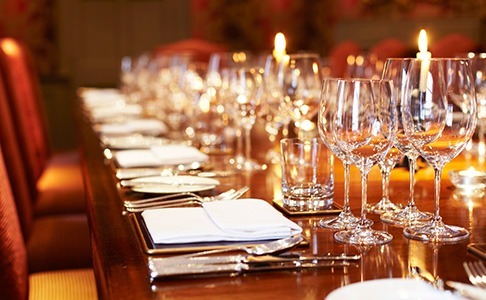 Whether you choose our cellars or our townhouse, you will enjoy exceptional food and an unrivalled selection of wine from the company that has been supplying the Royal Family since the reign of King George III. Following an apéritif on the mezzanine level, you will descend into our bodega-inspired Sussex Cellar for a leisurely six-course lunch. Each course of the luxurious menu will be carefully paired with a wine from our extensive range, and the in-depth knowledge of your host. 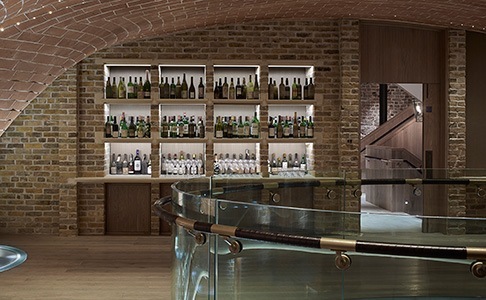 Enjoy a drinks reception in the gallery before taking your seat in our new Sussex Cellar. 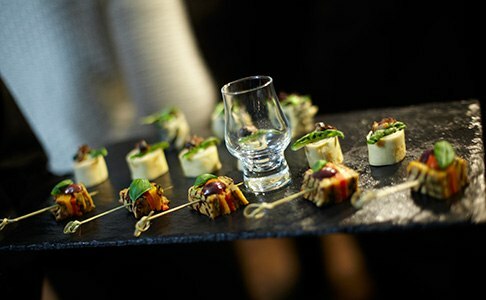 Your host will share their expertise as our in-house chefs serve up course after course of marvellous food, each one designed to partner a specific wine. These intimate lunches start with an apéritif in the townhouse, before enjoying a long lunch prepared by our talented in-house chefs, accompanied by at least six of our best wines. Your host will share knowledge and anecdotes with you, ensuring you have a truly memorable experience. Beginning with a drinks reception, you will then be invited to take your seat in the intimate Long Room, along with 11 other guests and your knowledgeable host. 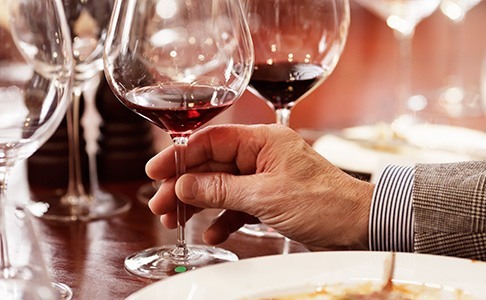 A superb meal will follow, accompanied by at least five exceptional wines in an affable and informal atmosphere. 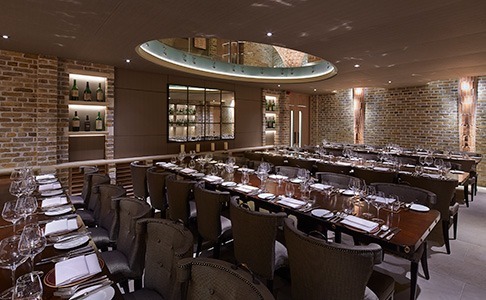 Cellar lunches begin with an informal drinks reception, followed by a delicious three-course lunch prepared by our team of chefs. 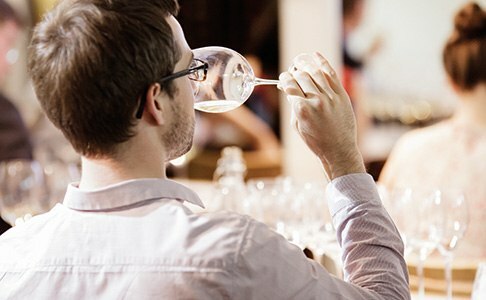 Over the meal you will taste superb wines, each of which will be introduced by your knowledgeable host. Our Cellar Dinners start with a drinks reception in our historic shop, before being escorted downstairs for an evening of superb food and wines. 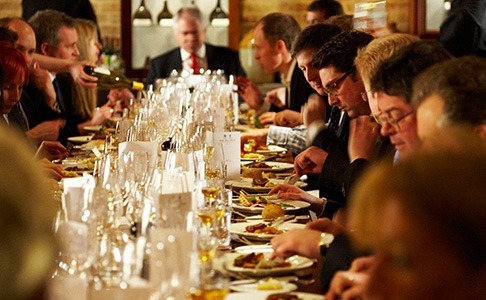 During dinner your host will share their in-depth knowledge of the wines, answering any questions you may have. Join us for a convenient hour or two in our cellars during the week to learn about specific regions and wines, while enjoying a delicious lunch prepared by our Head Chef Stewart Turner and his team. This series of events feature intimate fine wine dinners in the Long Room that showcase a selection of very rare and interesting wines. 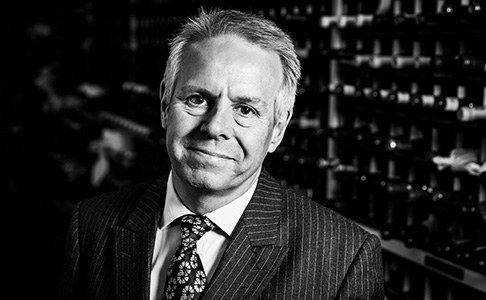 Your host will be Berry Bros. & Rudd Buying Director, Mark Pardoe MW.